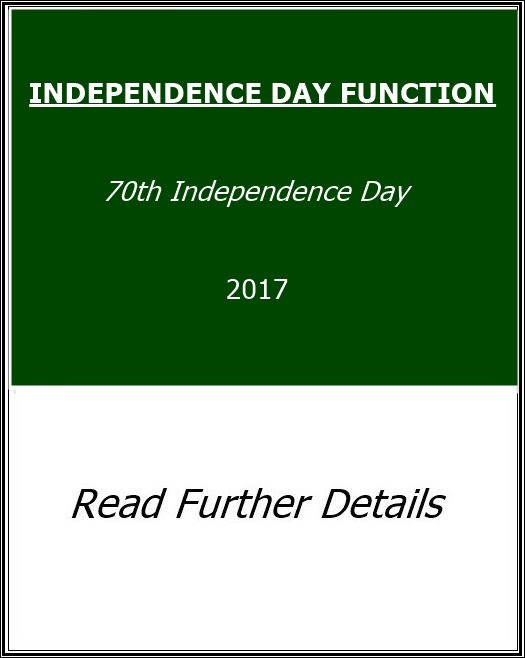 This is to inform all students and their parents that the College will be celebrating the 70th Independence Day on Monday, 14th August 2017. Students are required to reach the College latest by 7:50 am. Staff and students will gather outside the Principal’s Office for Flag Hoisting and National Anthem at 8:00 am sharp. This will be followed by a special function in the College Auditorium. All students are instructed to dress in proper uniforms. The College will be over at 11:30 am.